This wedge is great for dress or casual wear. An elasticized buckle around the ankle and elastic on the inside provide a snug yet flexible fit. Soft leather lining surrounds your foot in comfort and a heel cradling sole helps support each step. A minimalistic upper design and wood grain wedge sole add a sleek style to this classic look. 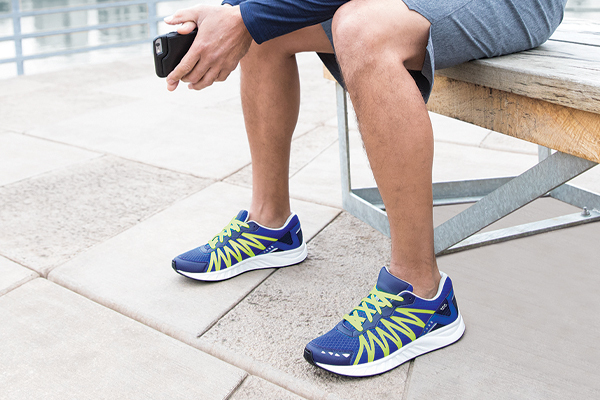 Adjustable Comfort: An adjustable elasticized buckle offers a customized fit that flexes when you walk. An elastic piece on the inside of the shoe offers a snug yet giving fit around the ankle. SAS Comfort Wedge: A wedge heel with a contoured design cradles the heel and supports the entire foot. A sturdy sole base is wide enough for stability while maintaining a sleek, stylish profile.